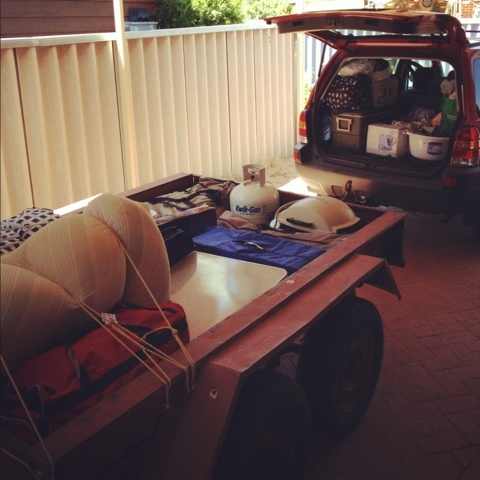 We are about to embark on a two week camping trip to the great South West! We will be leaving any minute, Joel is doing the last minute man things. Then we are off. We have so much stuff, I feel a little ridiculous. But it would be less if we were just going for a few days. We do like to have some comforts of home. Like the kettle and Joel's guitar. Anyway it is definitely not roughing it. My goal is to post at least one picture a day for the next two weeks!! So come back and visit soon and you will see all this stuff set up and some beautiful coastline! I'll be blogging from my phone so I hope it looks alright on a computer screen!